Happy 23rd Birthday to you, Happy Birthday to you, Happy Birthday dear Sonic, Happy Birthday to you! Yes, I know It’s two days late but we still have to celebrate the fact that this awesome blue hedgehog has just turned 23 years old. Sonic the Hedgehog came out on June 23, 1991 for the Sega Genesis/Mega Drive. The game was commercially successful and everyone praised the game for It’s visuals at the time and sense of speedy action. It’s been 23 years and Sonic has been through lots, from time traveling to medieval times to turning to a purple were-hog (were-wolf). Lately Sonic’s games have been hit or miss with the critics and fans alike. Is Sonic slowly dying as Sega’s mascot or Is he just In need of a major tune-up? Either way, If you were to ask any gamer who Sonic is, they will most likely be able to tell you. They will also be able to tell you what Sonic game is their favorite, which Is exactly what I asked some of the writers here at WtfGamersOnly! I’m gonna discuss my favorite game in the series and then continue down to read about how my fellow writers feel about Sonic in general. 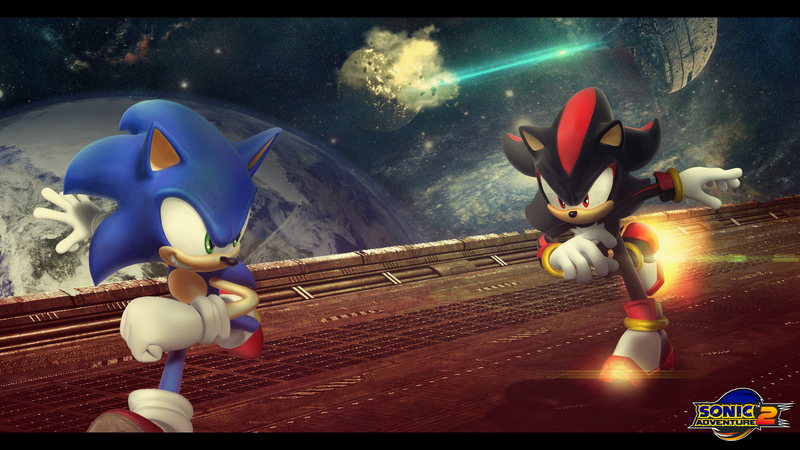 Sonic Adventure 2 has got to be the funnest, most epic Sonic game to date. That first opening level of Sonic “snow” boarding down the city streets while listening to city escape is just pure joy. Sure the camera was very wonky and annoying at times, but It was worth it. It was really cool to play as the bad team as well as the good guys. You get an insight into the lives of Shadow, Rogue and Eggmans robot whose name I can’t recall. Adventure 2 came out in 2001 during the last years of the Sega Dreamcast, the system that seemed like It was ahead of It’s time. The game later got ported to the Nintendo GameCube and HD remakes came to PC, PlayStation and Xbox Arcade. It actually got high scores when it got released, IGN gave It 9.4 praising the astounding level design. There was also tons of replayability with the inclusion of the Chao Garden and getting high rankings on each stage. I spent tons of hours In the garden raising my little Chao babies and forcing them to race and fight in competitions haha. This was definitely my most played game on my DreamCast, or actually the only game I played. Sonic, a memorable classic. I must say my fascination with Sonic started with the television show, a little later than most people actually. My Sonic love didn’t officially start until I began watching Sonic X on Saturday mornings along with Kirby: Right back at Ya! On 4Kids entertainment television. I first played Sonic on the Dreamcast, Sonic Adventure and Crazy Taxi at a friends house were my favorite games at the time. After that there was a lack of love between Sonic and I, until I attained Sonic Riders for the PS2 and Sonic Heroes for the GameCube. These two games took me to a new level of Sonic plover. 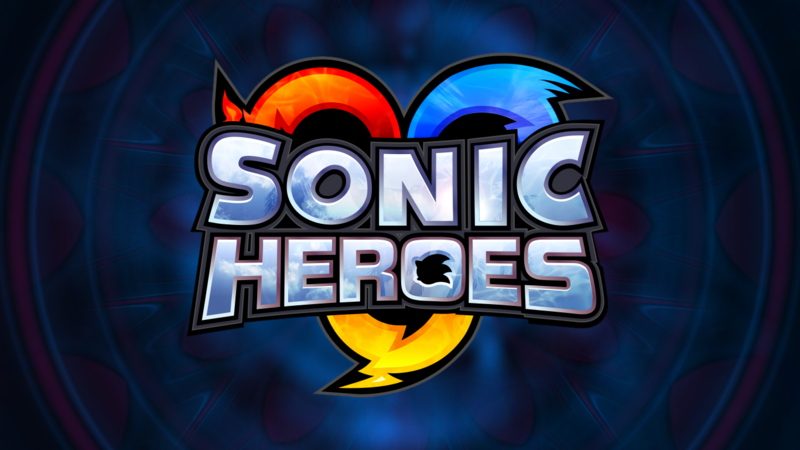 The team selection aspect of Sonic Heroes and the super catchy theme song I still sing today have made the game my favorite in the series. The team aspect, the team work, and the nice array of characters also helped increase my love for the game, and even appreciate some of the characters more. My next iterations with Sonic weren’t until the Smash Bros series and his addition to the series. So although my relationship with Sonic has never been of the collecting rings and running around variety (though I’ve played the classic game a few times) I’m happy that he’s been incorporated into the Nintendo universe, and I look forward to enjoying more time with this iconic character. There is just so much inside one little box it’s hard to choose sometimes, and that is a good thing. Not to mention that the controls are super smooth as well. Most of the time karting takes a plunge when you realize how gritty and rough the controls are but Sonic does just fine. My favorite part is the transforming. Unlike in Mario Kart where it seems like sort of an afterthought, the transforming aspect of this particular karting spectacular really takes it to the next level. You can’t win every race just because you’re a master flyer, you must have a firm hold on all three; Boating, Flying and Karting, otherwise you’re not going to do so well. Sonic Transformed also brings the nostalgia. Dragging you past the dark clouds hanging over the SEGA legacy and reminding you of all that was good in their history. Cross references from old school arcade gems like After Burner, Golden Axe and Out Run, fan favorites like Jet Set Radio, Skies of Arcadia and NiGHTS. And, of course, there are Sonic levels everywhere. It may not be a true Sonic game but it’s still my favorite way to play as the lightning fast blue hedgehog we all love. Well that’s that! Hope guys continue to support Sonic all the way to his 50th birthday! Even though Sonic seems to be going through a rough patch right now, I’m sure he’ll run his way out of it soon enough.